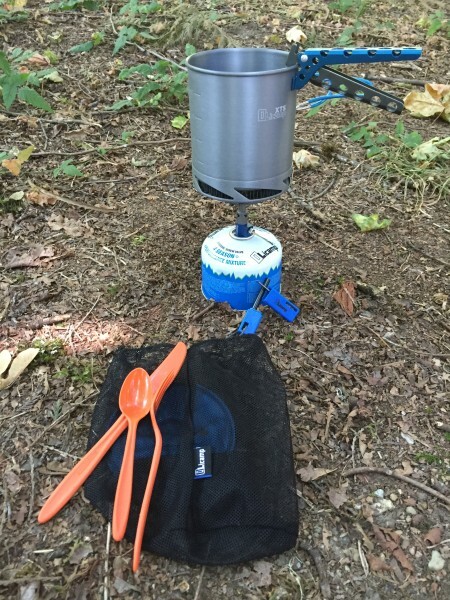 The Olicamp Kinetic Ultra Titanium Stove and Hard Anodized XTS Pot is all about lightweight convenience and is perfect for a short weekend trip backpacking. 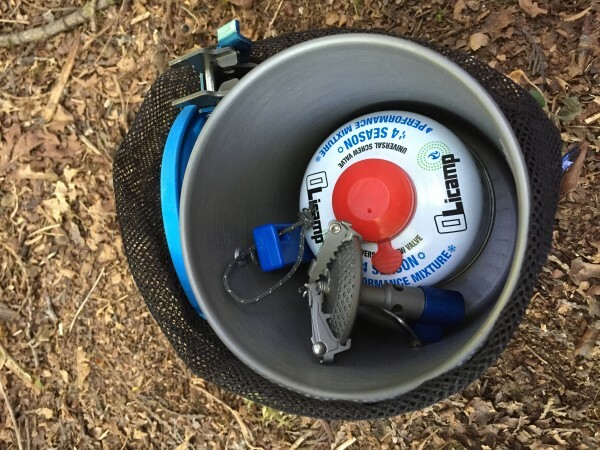 The burner itself weighs a mere 1.7 ounces and, married with a 3.5-ounce fuel canister, you have a simple, easy and lightweight means of boiling water and cooking. Concerned about having enough fuel and, admittedly, somewhat worried about stability, I opted to use the larger 8.1-ounce fuel can. 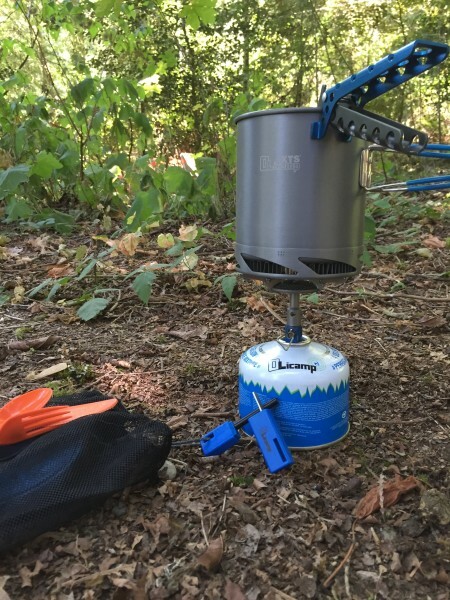 I found the stove easy to light and efficient at brining water to a boil. I boiled water in my coffee percolator just fine. I was impressed with how the Oilcamp Hard Anodized XTS Pot brought water to a boil faster due to its design. 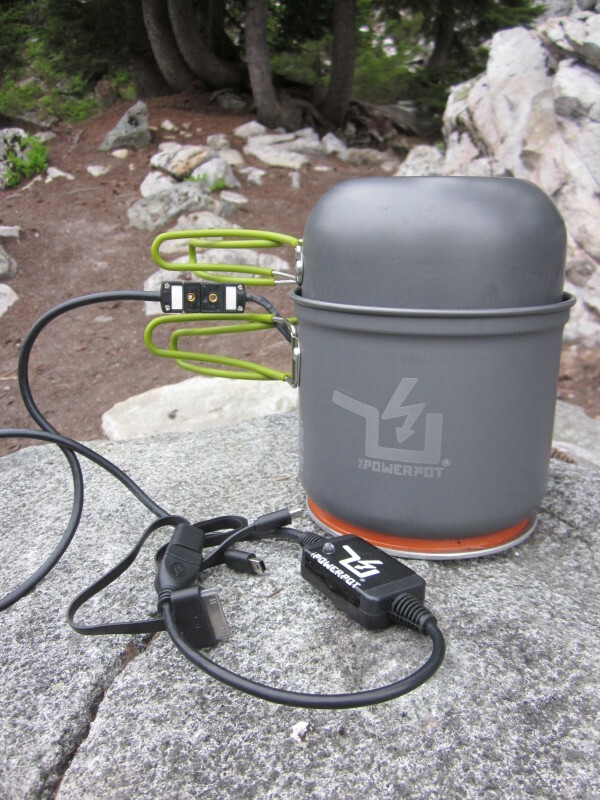 The Pot has a built in heat exchanger that makes it more efficient at bringing water to a boil. I estimated it took about one third of the time it normally takes to boil water using the pot. 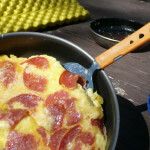 The lid snaps on, allowing for storage of the stove and a lighter and leaving room for more. The fold out pot supports on the stove hold what you place on them and, with a level foundation and normal care, their small size does not inhibit use. The spindle used to adjust the flame is perhaps the only part of the stove that seems fragile. Lighting the stove is easy with a match or lighter. 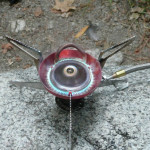 I had the Olicamp Sparklerfire Starter, which is a ferrocerium “flint” and steel setup that worked just fine. Be careful using the flint during the drought conditions we’ve been experiencing in the Pacific Northwest. Clear the area around your stove to prevent errant sparks from finding any tinder. The Sparklerfire Starter weighs in at one ounce and is now a permanent part of my overnight kit. Wind was not an issue during my testing, but I couldn’t help thinking a windscreen might be necessary at times. 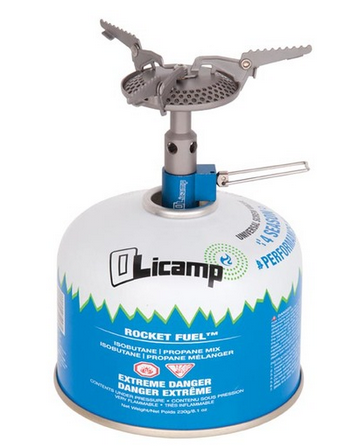 The only problem I see with canister stoves in general are the limits of butane-propane at altitude and low temperature. The combo kit including the stove and pot is a real value. 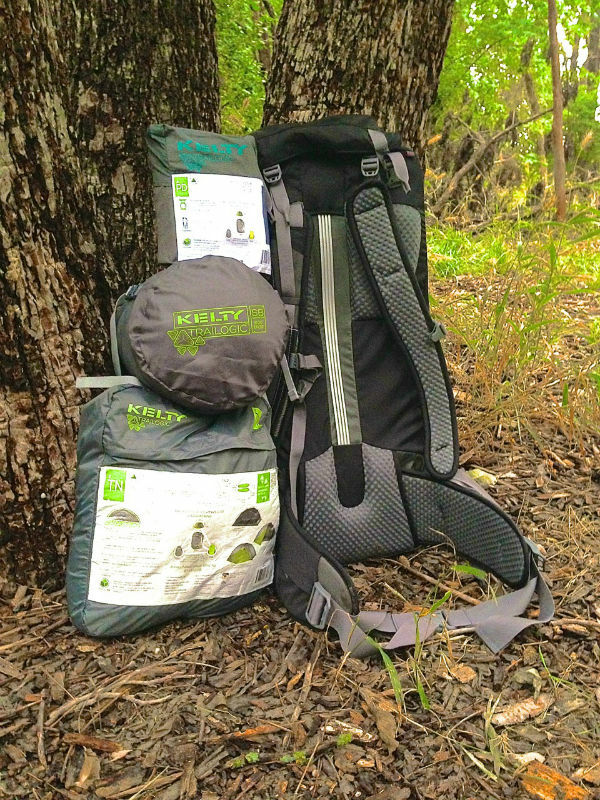 The XTS Pot will go with me wherever I go camping, and the Ultra Titanium Stove is now in my go bag for 72-hour trips. 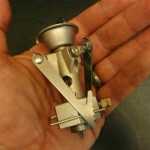 You might have used Olicamp in the past for pots and pans, but know you can trust them with your stove needs as well. 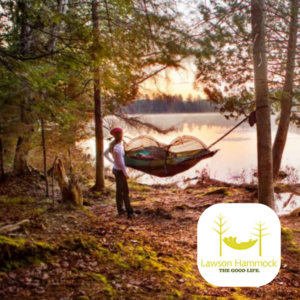 For me, being outdoors is preferable to watching sports or almost any television. I enjoy camping, whether it be backpacking or using the RV. I love the water and have both sea and whitewater kayaking experience. I like redundancy in my equipment and choose to prepare for various contingencies.